Sales of JUUL, an e-cigarette shaped like a USB flash drive, grew more than seven-fold from 2016 to 2017, and held the greatest share of the U.S. e-cigarette market by December 2017. The findings, from an analysis of retail sales data from 2013-2017, were released today by the Centers for Disease Control and Prevention (CDC) in JAMA. 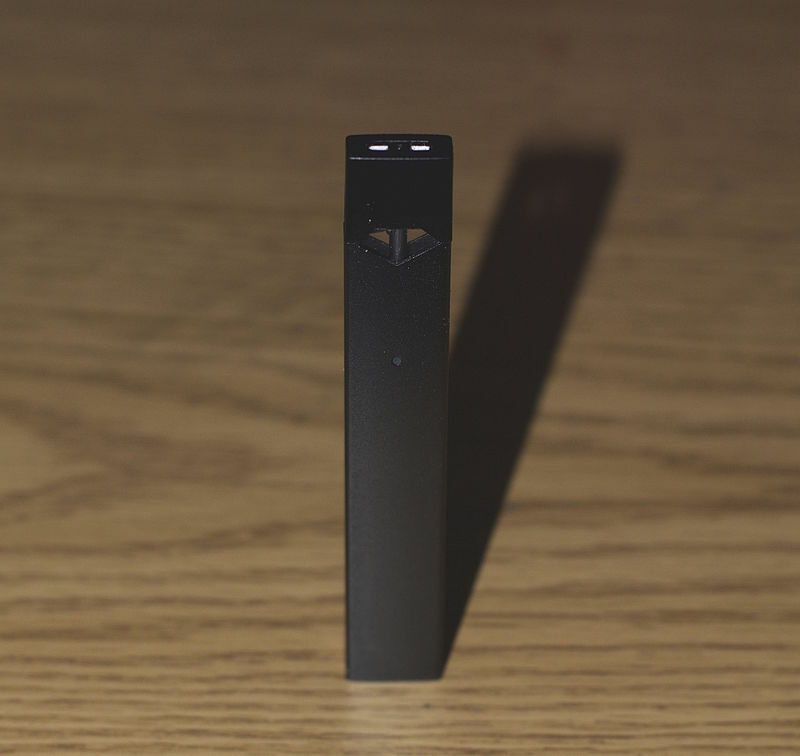 Use of JUUL by youth in schools, including in classrooms and bathrooms, has been widely reported. Most e-cigarettes contain nicotine, and JUUL contains among the highest nicotine content of any e-cigarette on the U.S. market. Nicotine is highly addictive and can harm a child’s brain development, which continues into the mid-20s. No single e-cigarette manufacturer dominated the US market through 2013. However, sales of British American Tobacco e-cigarette devices surged 146% during 2014 and led the market well into 2017. During 2016-2017, JUUL Labs’ sales increased 641 percent — from 2.2 million devices sold in 2016 to 16.2 million devices sold in 2017. By December of 2017, JUUL Labs’ sales comprised nearly 1 in 3 e-cigarette sales nationally, giving it the largest market share in the United States. Like other e-cigarettes, JUUL is a battery-powered device that heats a nicotine-containing liquid to produce an aerosol that is inhaled. JUUL comes in a variety of flavors, including mango and creme, and also uses nicotine salts, which can allow high levels of nicotine to be inhaled more easily and with less irritation. Other manufacturers have recently started making look-alike e-cigarette products. The CDC study included purchases from most US retail stores. It did not include sales through the Internet or through “vape shops,” so sales may be underestimated. Many of the sales likely reflect products obtained directly or indirectly by youth. A recent analysis found that 74 percent of youth who used JUUL reported obtaining the device from a physical retail store, and about half reported obtaining the device from a social source such as a friend or family member. The U.S. Surgeon General has concluded that e-cigarette use among youth and young adults is a public health concern, and that e-cigarette aerosol is not harmless. Over the past several months, the U.S. Food and Drug Administration has taken a series of actions as part of its Youth Tobacco Prevention Plan to more immediately target the illegal sales of e-cigarettes to youth, as well as youth-oriented marketing and appeal of these products.